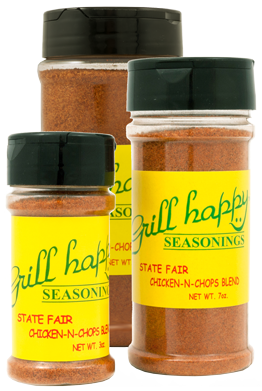 Welcome to the Grill Happy Seasoning's website. Thank-you for stopping by. Peterson's Charbroiled Chicken-n-Chops on a stick has been a highlight at the Minnesota State Fair since 1994. Also at MSRA Back To The 50'S car show.